David M. Van Sant received his Bachelor of Business Administration degree from Kennesaw State University and received his Juris Doctor with honors from Georgia State University College of Law in 2003. Mr. Van Sant focuses his practice on representing individuals who have suffered injuries through the fault of others, including car accidents, motorcycle wrecks, tractor-trailer accidents, nursing home neglect, wrongful death cases, and other personal injury cases. Mr. Van Sant is an experienced trial lawyer who has received many accolades and has been nationally recognized as one of the best personal injury trial lawyers in the country. Georgia Super Lawyers identified Mr. Van Sant as one of the top attorneys in Georgia. No more than 2.5 percent of the lawyers in the state are selected to the list. 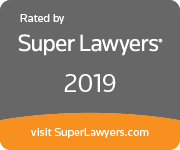 Super Lawyers, a Thomson Reuters business, is a rating service of outstanding lawyers from more than 70 practice areas who have attained a high degree of peer recognition and professional achievement. The annual selections are made using a rigorous multi-phased process that includes a statewide survey of lawyers, an independent research evaluation of candidates, and peer reviews by practice area. Before turning 40, Mr. Van Sant was honored numerous times by The National Trial Lawyers’ Top 40 under 40 organization. Top 40 under 40 is a professional organization comprised of America’s top young trial attorneys. Membership is by invitation only and is extended exclusively to individuals who exemplify superior qualifications, trial results, and leadership as a young lawyer under the age of 40. Selection is based on a thorough multi-phase process which includes peer nominations combined with third-party research. The result is a credible, comprehensive and impressive list of young attorneys chosen to represent their state. The Top 40 under 40 is restricted to only 40 attorneys per state. Since turning 40, Mr. Van Sant has been recognized by The National Trial Lawyers as one of the Top 100 Trial Lawyers. The National Trial Lawyers is a national organization composed of the Top 100 Trial Lawyers from each state. Membership is obtained through special invitation and is extended only to those attorneys who exemplify superior qualifications, leadership, reputation, influence, stature, and profile as trial lawyers. David M. Van Sant has been certified as a life member of the Million Dollar Advocates Forum and the Multi-Million Dollar Advocates Forum. The Million Dollar Advocates Forum is one of the most prestigious groups of trial lawyers in the United States. Membership to the organization is limited to only those attorneys who have won million and multi-million dollar settlements, verdicts and awards for their clients when acting as principal counsel. Founded in 1993, there are approximately 4000 lawyers throughout the nation that are members and less than 1% of U.S. lawyers are official members. Prior to forming his own firm, Mr. Van Sant practiced with an insurance defense firm in Alpharetta where he gained valuable experience and training while representing many of the largest employers and insurers in the nation. Now he utilizes that experience to represent individuals who have suffered personal injuries. In 2008, he founded his own firm with a vision to provide quality legal services to injured individuals. Mr. Van Sant is active in the community and has held many leadership positions throughout the community. Andrews v. Atlas Van Lines, Inc., 504 F.Supp.2d 1329 (N.D.Ga. 2007).